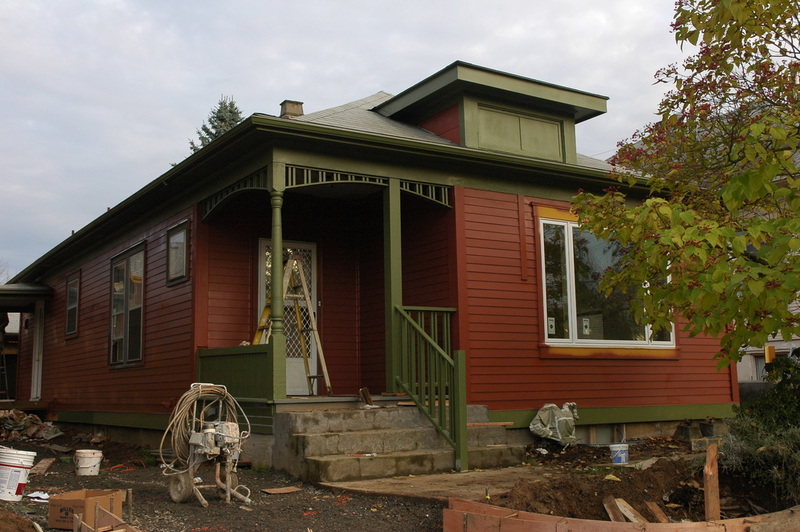 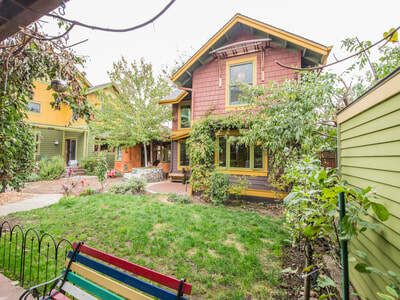 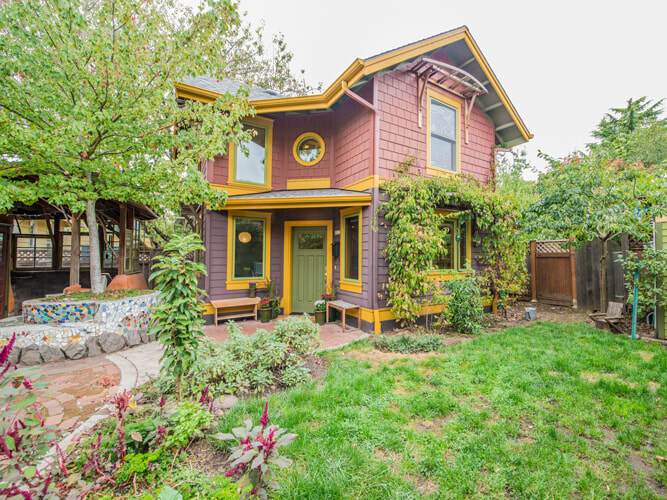 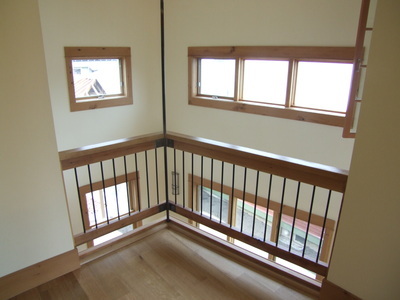 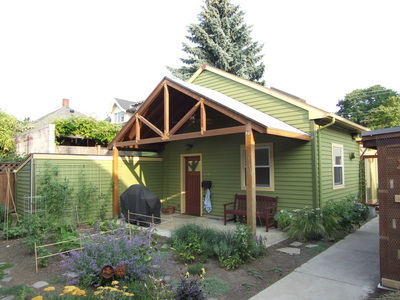 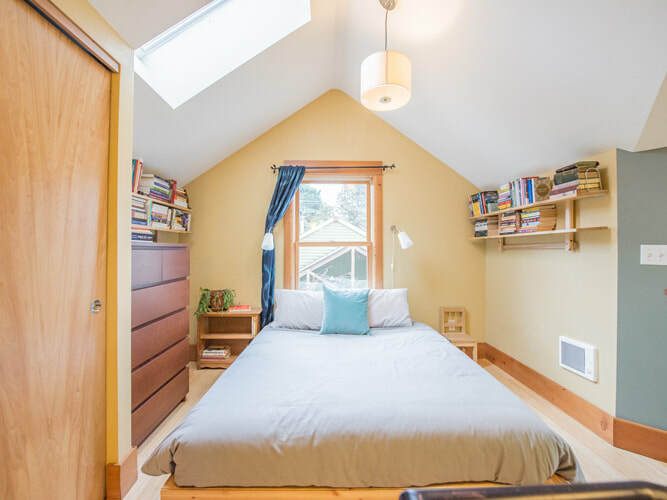 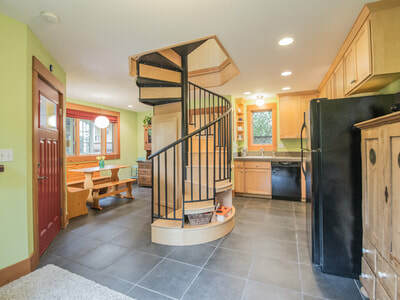 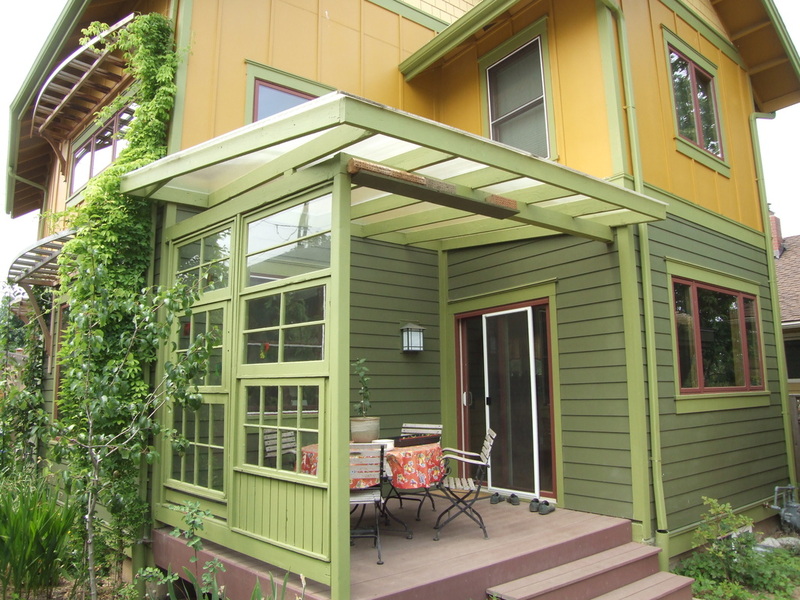 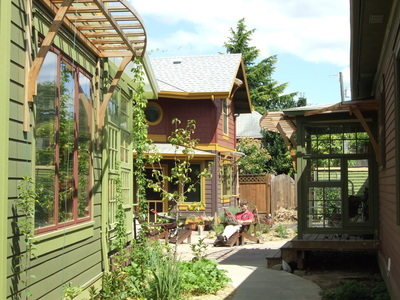 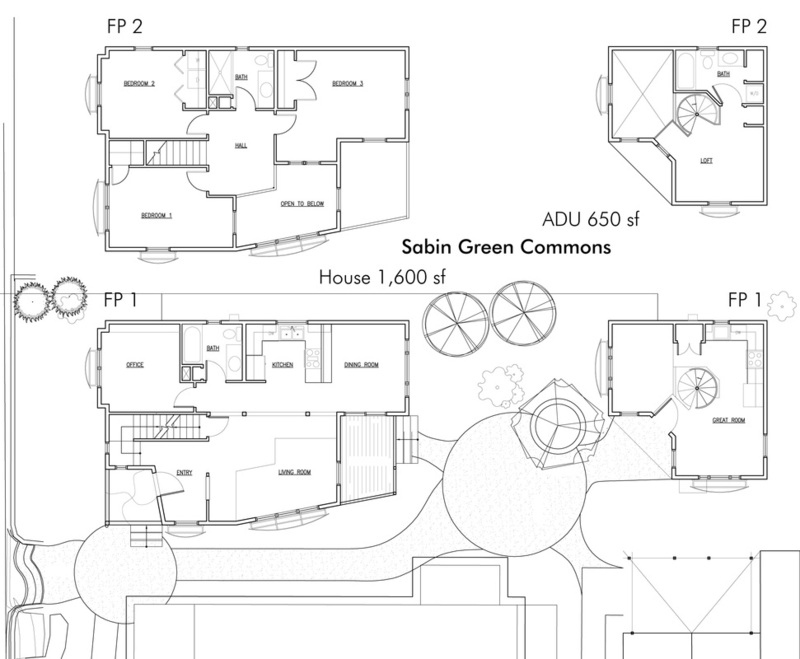 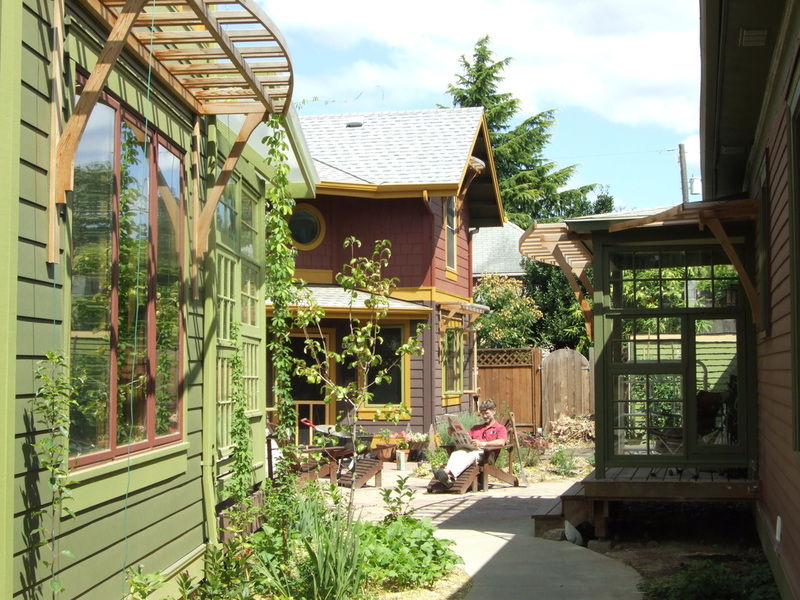 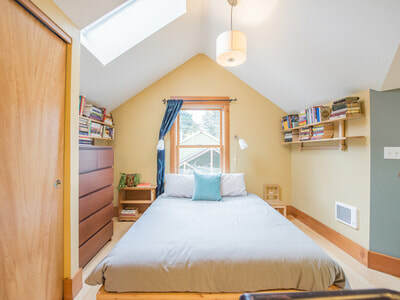 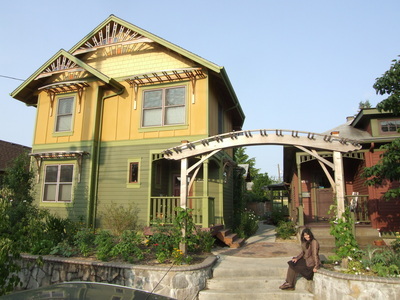 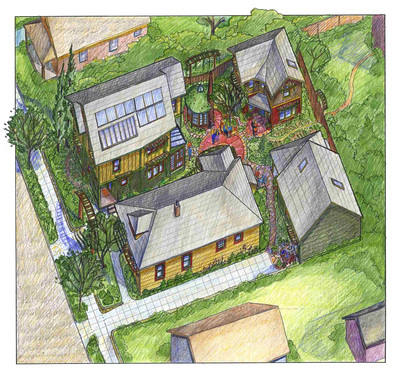 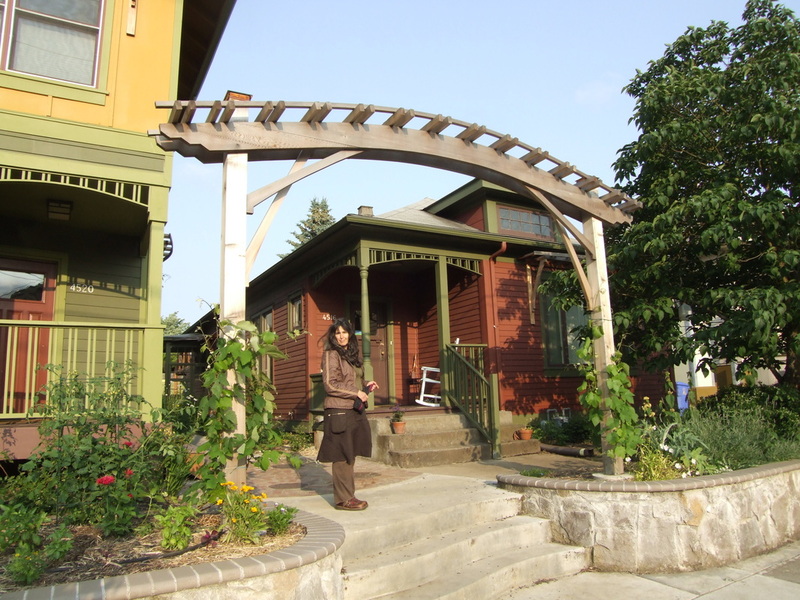 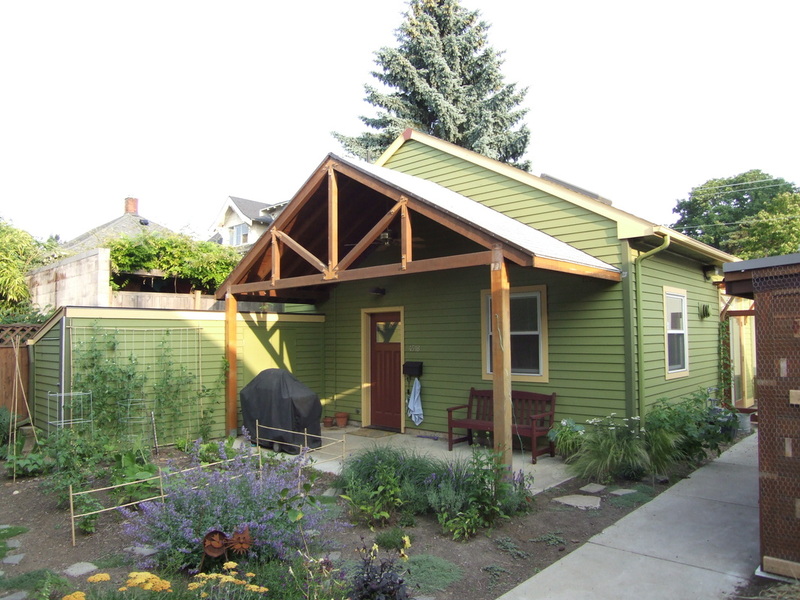 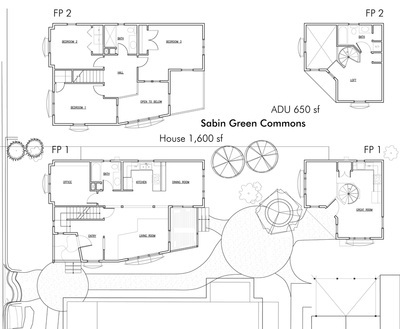 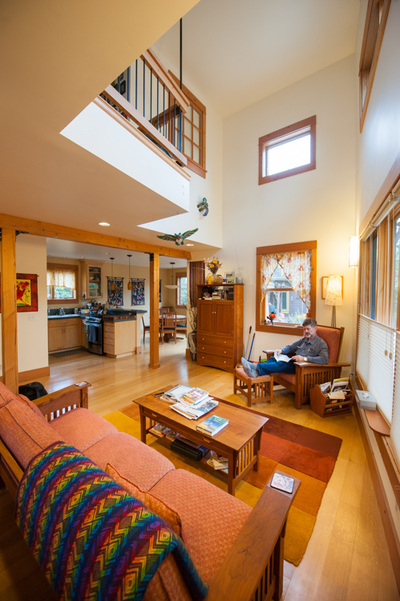 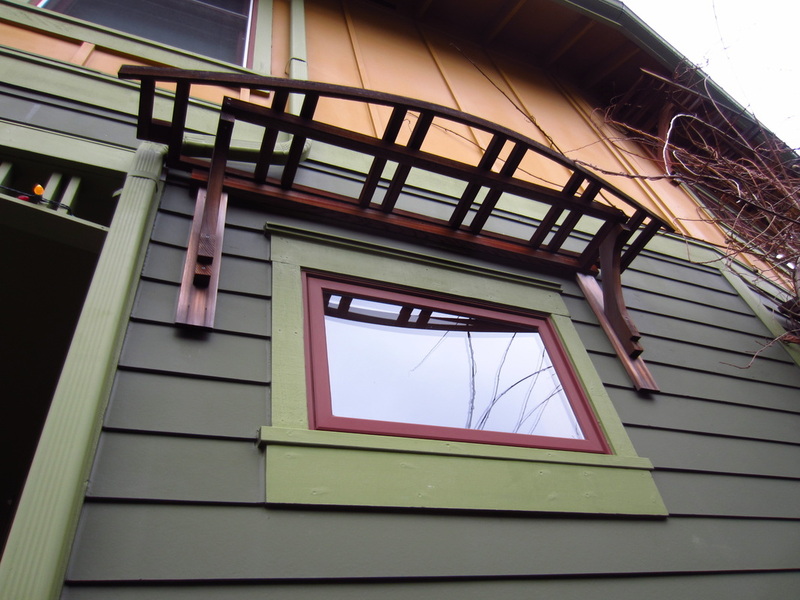 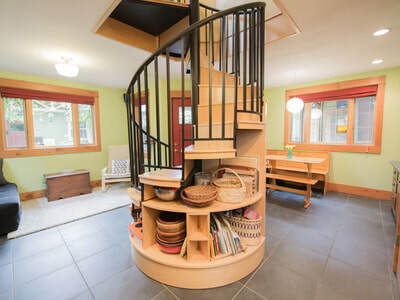 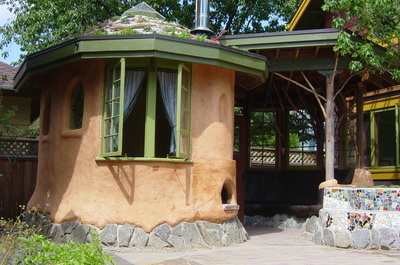 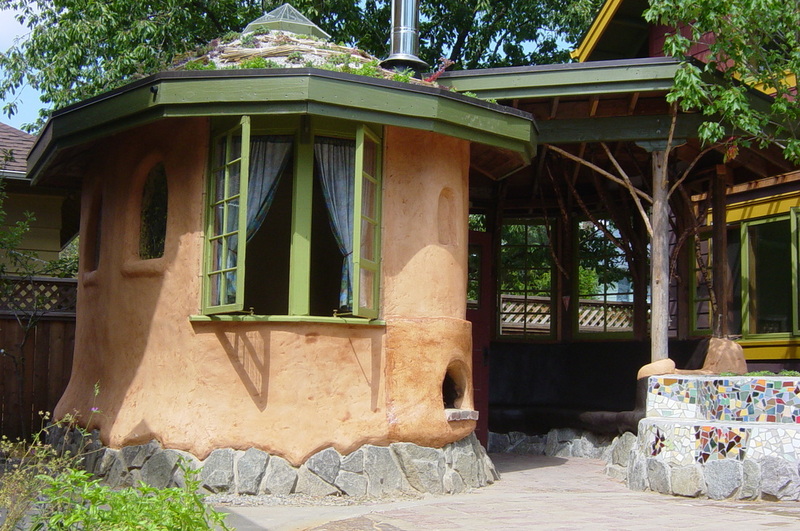 As part of a collection of four buildings comprising a co-housing model, two new homes were constructed as a main house with an accessory dwelling unit under separate ownership. 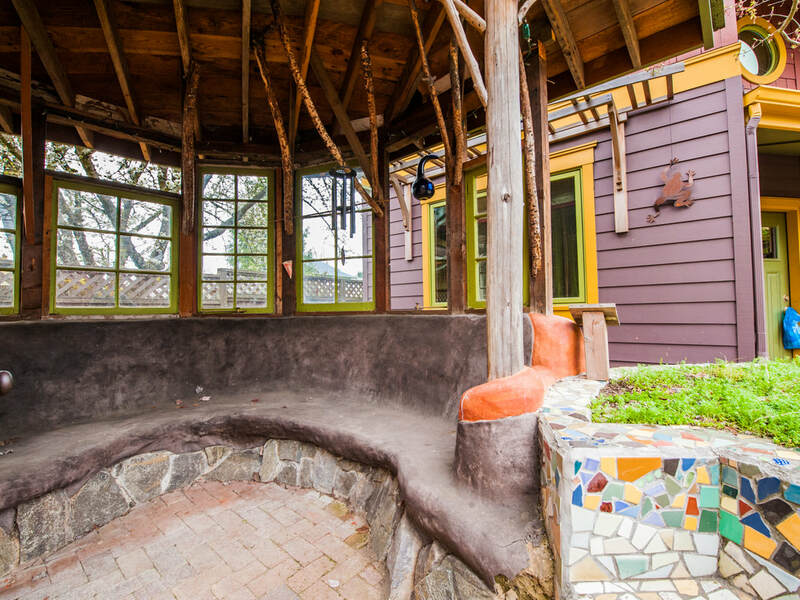 They were designed to create a communal outdoor gathering place with a community teahouse made of natural materials, to be shared with two renovated homes on the adjacent lot. 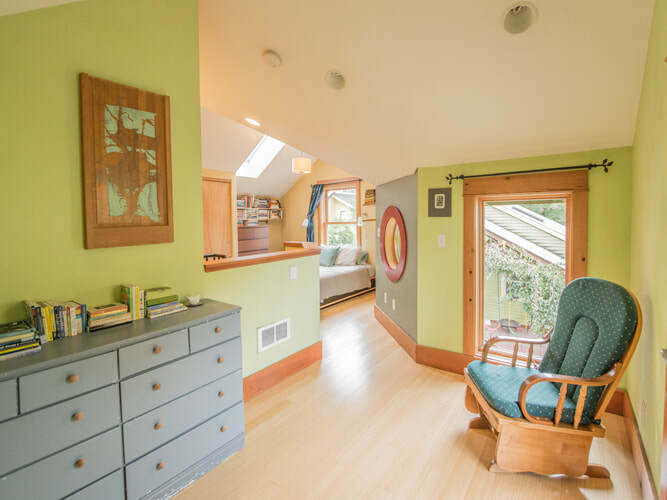 The internal configuration of the spaces is open and sculptural, uniting upper and lower levels with double height gathering places, lofts, and reused window panels. 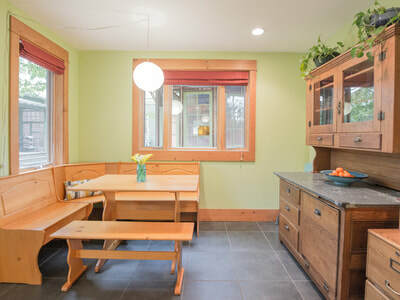 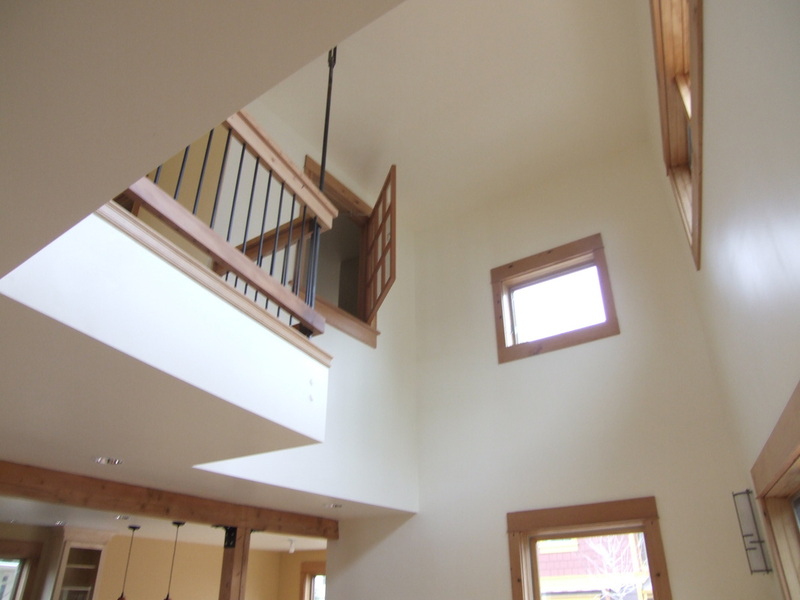 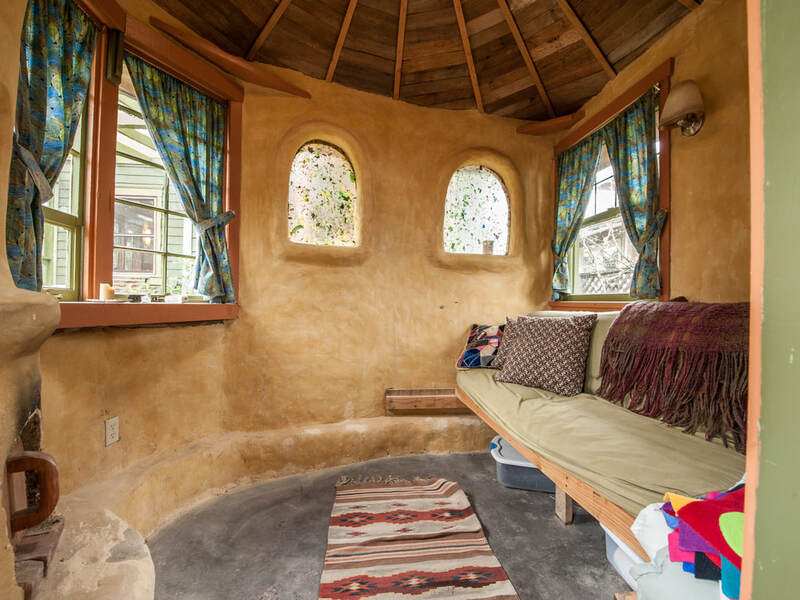 Green features include radiant floor heat, on-site stormwater management, solar hot water heating, photovoltaic for electricity, straw clay walls and cob plaster, recycled structural and finish wood and windows, as well as many other sustainable materials.